Digitally Printed Custom Vinyl Banners are the most popular, easy to use, and cost effective type of sign design for businesses today. 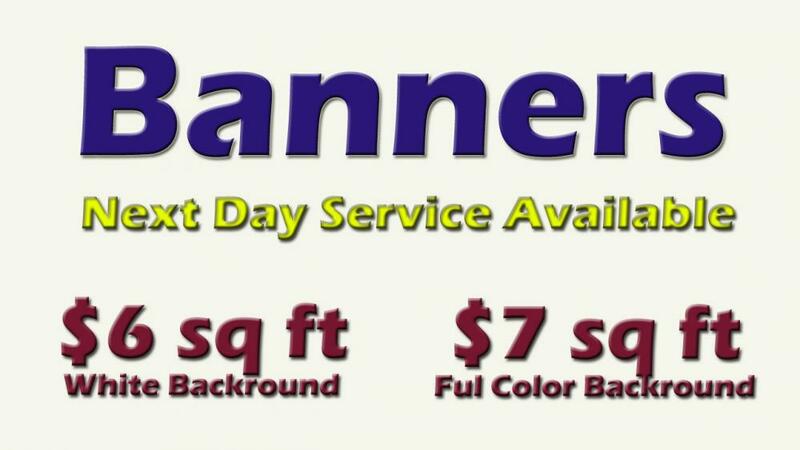 Our custom printed 14 oz banners can make an impact indoors or outdoors for a low cost. Our banners includes hemmed and grommets AND design…no extra charges! Of course we encourage you to design your own and supply us with your design. Time limited? No problems! Same day service is available too. And never a “Rush” charge. Call us 317.773.7200 or email us with your design or questions.